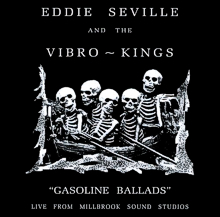 Singer / Songwriter Eddie Seville and longtime accomplice, guitar player Billy K offer up high end, spit- fire entertainment with a roots, rock & roll band they've dubbed The Vibro ~ Kings. 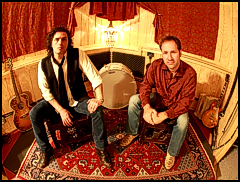 If you're a fan of genuine americana, "three chord religion" and flat out rock & roll, you're going to love The Vibro ~ Kings. Eddie explains, "It's about the music and we try to keep it there ... when you get hung up on an image or a trend it just turns into a fashion show with silly hats ... at that point, you may as well be juggling". If you’d like to witness one of T H E best live acts east of the mighty, muddy Mississippi ! ! ! Then you really need to catch up with The Vibro ~ Kings ... they’ll take you there.